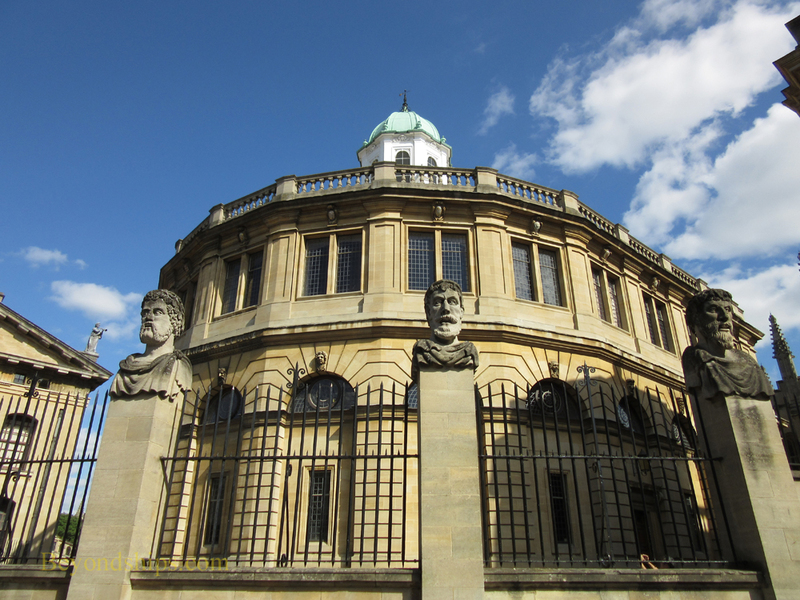 The Sheldonian Theatre is the official ceremonial hall of the University of Oxford. It is used for ceremonies such as matriculation, graduation, meetings of the university parliament, and for awarding of honorary degrees. This 1,000 seat hall is also used for lectures and for concerts. Handel performed here. 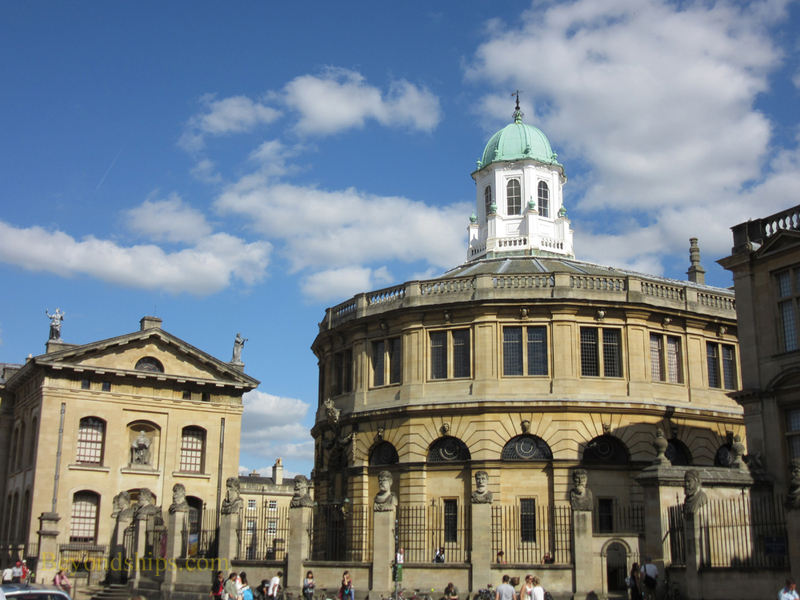 One of Sir Christopher Wren's first major designs, the Sheldonian was constructed between 1664 and 1669. It was named after Gilbert Sheldon, later Archbishop of Canterbury, who provided 12,000 pounds to fund the construction. 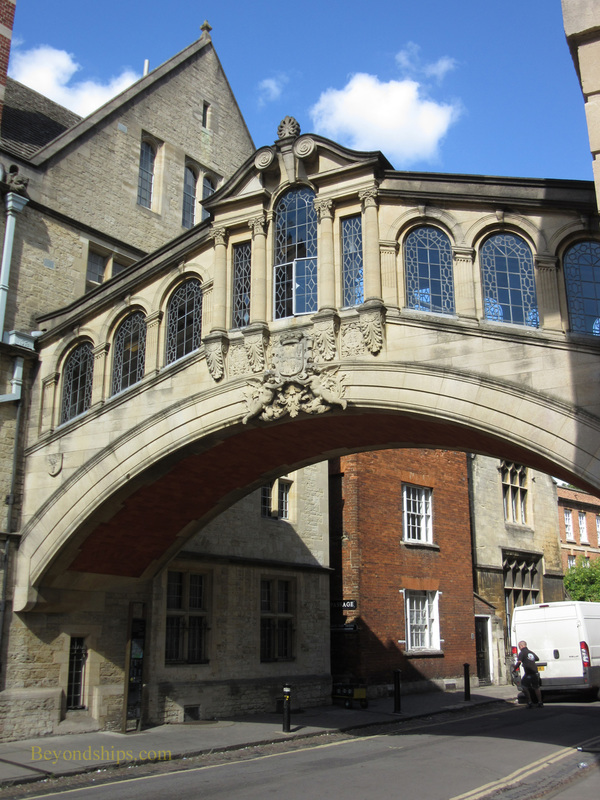 Popularly called The Bridge of Sighs, the Hertford Bridge spans New College Lane. It links the Old and New quadrangles of Hertford College. A relatively recent construction by Oxford standards, the bridge was designed by Sir Thomas Jackson and was completed in 1914. Although a romantic design, the bridge looks nothing like its popular namesake in Venice. The Bridge of Sighs is often seen in pictures of Oxford and appeared in the Inspector Morse television series. 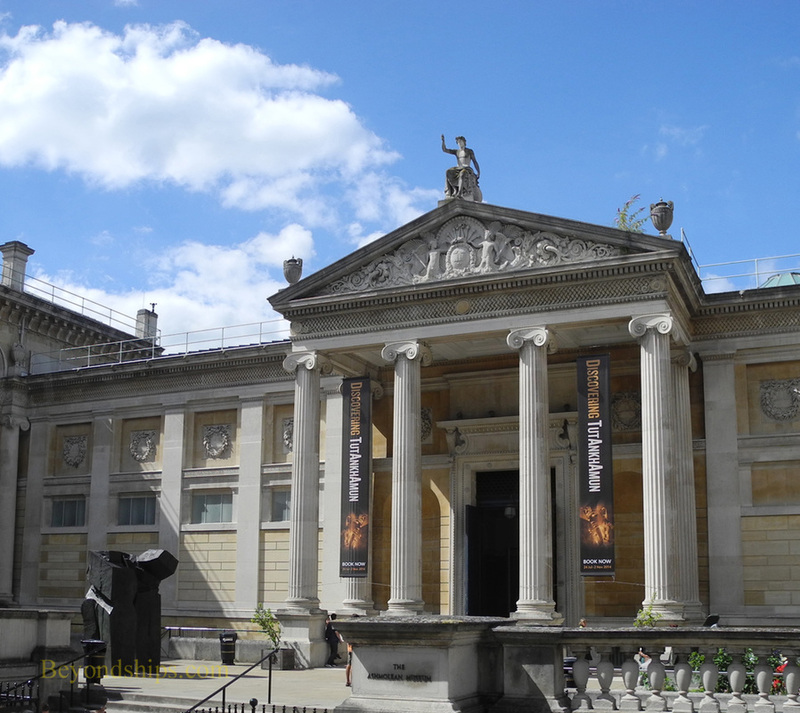 The Ashmolean Museum is the University's world famous museum of art and architecture. (See separate profile). 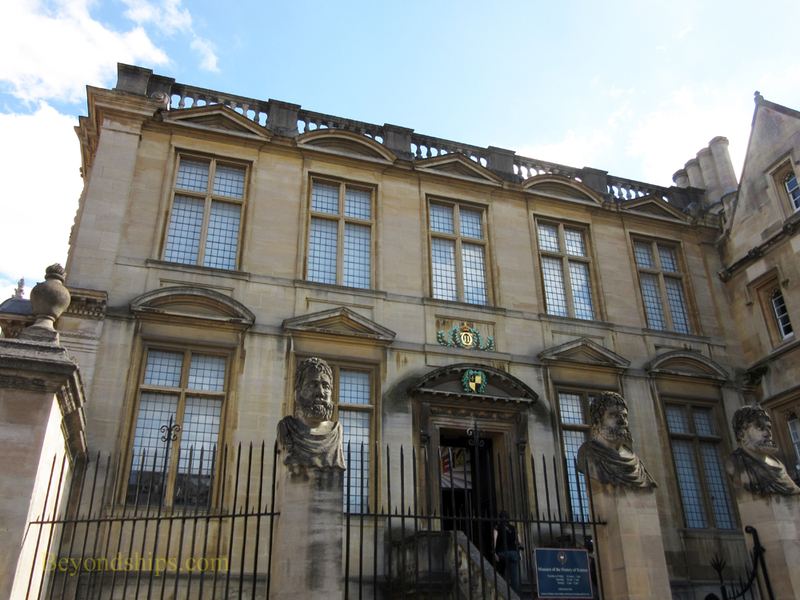 Above: The building which once housed the Ashmoleon on Broad Street is now the History of Science Museum.